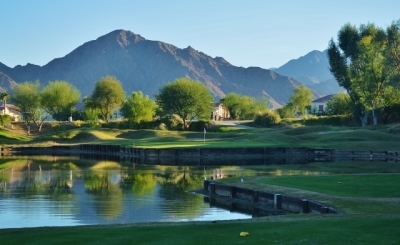 LA QUINTA, CA – Driving onto the property at the La Quinta Resort and Club you wouldn’t necessarily envision that you’re far across the sea in Scotland or Ireland, but once you’re set up to play the Dunes Course you might just change your mind. 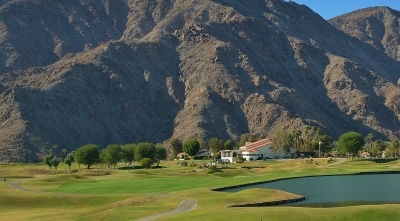 Sure there are the rugged mountains as the backdrop and pleasant looking desert community dwellings in the near vicinity but the Pete Dye designed layout itself contains elements of links golf that could conceivably – with a healthy dose of imagination thrown in – place you in another geographic dimension. 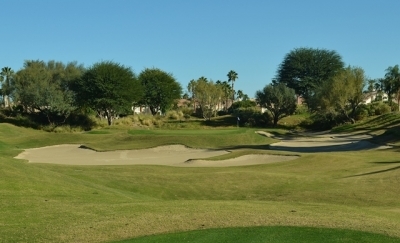 Right from the first tee you will see the Dunes Course is no typical desert layout. There is hardly any sign of desert vegetation. The Dunes Course opened in 1981 and immediately began setting a contrast to its native surroundings. Head Golf Professional Alan Bonin takes the story from there, including elaborating on why Dye was selected to design the golf holes all those years ago. “There are lots of things to consider when you’re choosing a golf course to play...affordability, playability, reputation -- and for some golfers, the course's designer. There’s little doubt about it. Dye was such a prodigious designer in the region in the time period that I’m surprised all of the Coachella Valley wasn’t renamed in his honor. 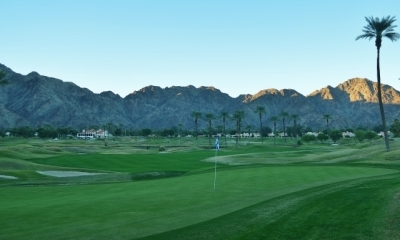 Dye is certainly more renowned for having dreamed up the nearby Stadium Course at PGA West, but he’s also done some fine work at La Quinta Resort as well. From behind the green on the par four 14th hole. The green is one of the toughest on the Dunes course. One can only imagine what Dye encountered when he toured the property for the first time. Bonin says the land was previously used for farmland and orange groves – so it probably looked like everything else around it. There were the aforementioned mountains to add scenic quality but the acreage itself probably didn’t offer a whole lot of contour. The putting surface of the par three 6th hole is surrounded by sand. Some courses are luckier than others to be situated on spectacular pieces of ground like Pebble Beach. For the rest, there’s the creativity of the architect to fill in the blanks. That’s what happened at the Dunes Course. Most of the holes are generously wide, about what you’d expect from a resort course in a resort town at a vacation destination. But width fits into the overall Dye philosophy too. “Most people say my fairways are too wide -- even the pros say it, that I give folks too much room off the tee. But I don't think there's any such thing as too much room. The object is to get 'em started, so I give 'em a lot of room. At 145-yards the par three 13th hole is the shortest on the Dunes Course. Dye continued, “Around the greens, that's a different story. Not everyone can hit the ball 300 yards off the tee, but you can hit any kind of shot any other mortal sinner has hit in the past around the green. You may not be happy with these deep bunkers or these little shots, and you may not be able to do it as often as Phil Mickelson -- but every once in a while, you're gonna pull it off. Physically, you can do it. Women too. 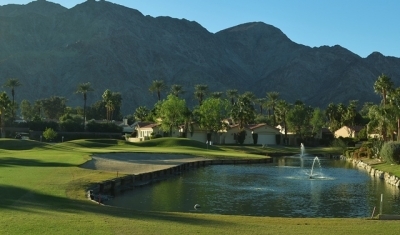 The Dye way of doing things has certainly survived the test of time at La Quinta Resort. Bonin says there have been very few changes to the Dunes layout since the course first opened. After six holes with no water hazards there is plenty of the wet stuff to be found on the par three 8th hole. “The alterations have been mostly to the native grass areas being taken out to make it more playable. “And one of the most significant changes was to hole #17 on the Dunes course with adding the bunkering near the water to the left side of the fairway, which made the fairway a little larger for a better landing area on your drives. We also made the green bigger and less undulated as well as limited the bunkering to one big one in back – it makes the hole a little more playable,” Bonin elaborated. Playability isn’t really a big issue at the Dunes Course in general. 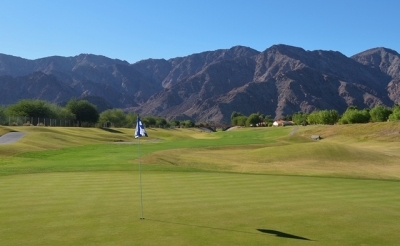 Whereas Dye really went to town on the PGA West Stadium Course green complexes, the Dunes’ putting surfaces and surroundings are rather tame by comparison. The bunkers are large on a number of holes but they aren’t particularly deep and I don’t recall any pot bunkers to make you want to pull your hair out. This view from the tee of the par four 10th hole makes it look like a long carry over water. Thankfully it is manageable. A few of the greens have some severe undulations but nothing that can’t be overcome with a sound putting stroke and proper placement of your approach shots. Bonin expounded on what makes the Dunes challenging. “The most difficult aspect of playing the Dunes Course is the elevated greens along with the native grass which outlines most of the fairways. Because of the elevated greens on most of the holes you will need one extra club to the approach shots because of the carry. At 475-yards from the back tee the par five 2nd hole is reachable for some players. The look from behind the hole shows the beautiful mountain backdrop. Visibility is always a good thing on a golf course. At the Dunes you’ll be able to pick your target, and as Bonin said, if you take an extra club on the approach the elevated greens are relatively receptive to stopping the ball. The layout is basically divided into two sections. 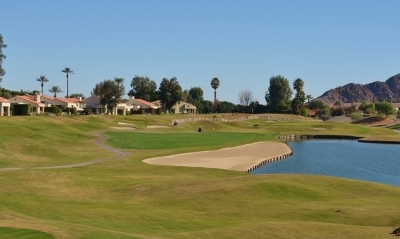 Holes one and fourteen through eighteen are near the resort center and are relatively wide open into a sort of “core” golf experience. Holes two through thirteen are set among the neighboring community with the perimeters bordered by residences. If you’re going to encounter the native grasses Bonin talked about it will probably be on the final few holes. The short par four 12th hole actually has two water hazards. Here, the look towards the green. 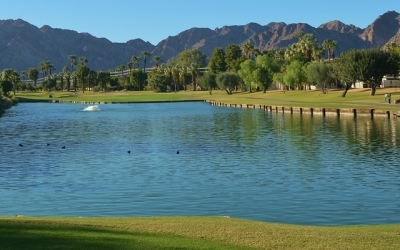 Water hazards are present on eight holes, so expect to play a little target golf as well. Bonin thinks the Dunes’ highlight holes include the par three sixth hole. At 191-yards from the back tee the sixth presents quite a visual challenge as the green appears to be surrounded by large bunkers. Unless your tee shot is precise expect to put your sand wedge to good use on the tricky par three. The outward nine’s other par three, the eighth hole, presents a completely different type of difficulty. Depending on which tee you play from there’s water on three sides of the green. The sight of the wet stuff comes as a bit of a shock after playing the mostly dry first seven holes. There is plenty of bailout room to the left and back of the green but if you choose to chicken out from the water, expect to leave a tough Dye-like up-and-down. The 491-yard 9th hole is rated the easiest of the three par fives on the front nine. That’s no joke; the seventeenth certainly got the best of us. It’s “only” 420 yards from the back tee, but since it wraps around a lake (on the left) it plays much longer if you choose to bail too far right on the tee shot. Another nice aspect of the Dunes Course is its walkability should you choose to go that route. A good portion of the year it’s probably too hot for all but the heartiest, but during the cooler months it would make for a nice stroll around the gentle rolling links. Coming home on the par four 18th hole. Unlike with most Dye courses the finishing link presents a decent birdie opportunity. We’ll leave the last word to Bonin. “I want players who take on the Dunes to leave with the feeling like their golf game was challenged and also that they felt they needed to use all of their clubs in the bag. I want them to feel as though they had just played one of Pete Dye's finest layouts. Yes indeed. 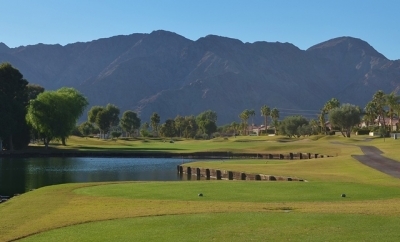 In an area of the country where there are a lot of great golf experiences, the La Quinta Dunes course seems to fit right in. Rates in season range from $89 to $149 and in the off season they range from $39 to $79. Consult the website for current conditions, rates and specials.